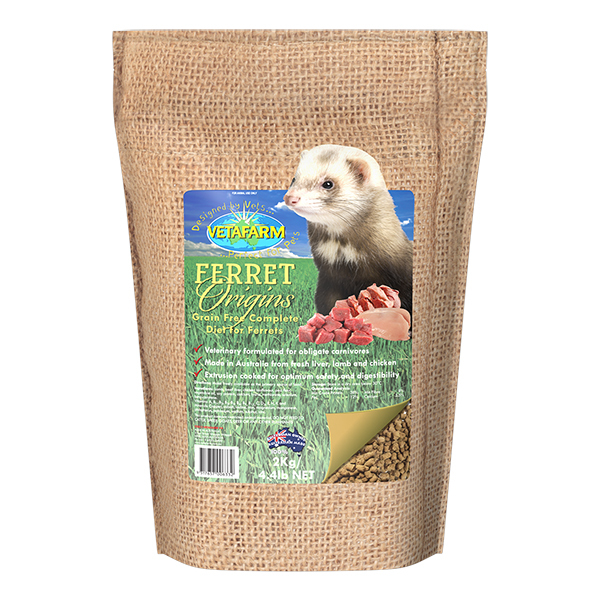 Powdered emergency food for the nutrition and hydration of critically ill and debilitated small herbivorous animals. Contains stabilised Vitamin C (1000mg/kg). Contains Vitamin C (1000mg/kg). 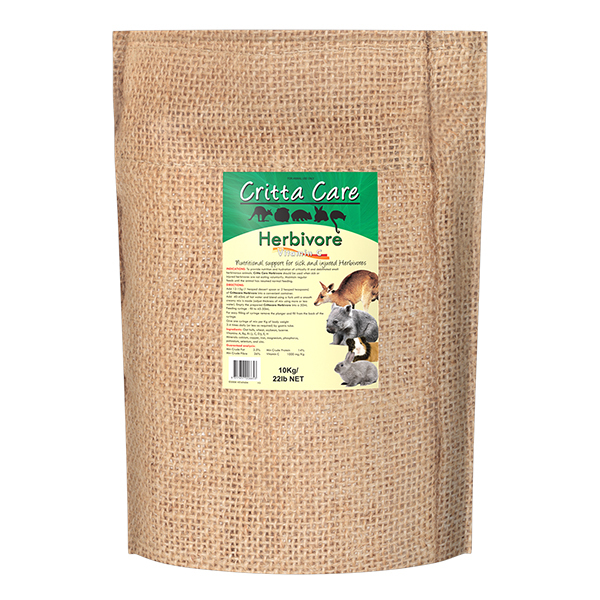 Provides highly digestible nutritional support for sick, stressed, and injured herbivores. Extrusion cooked for safety and digestibility. 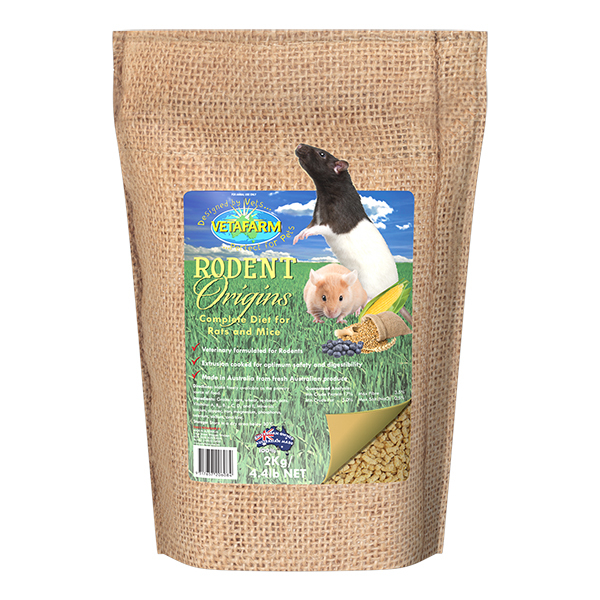 Includes highly digestible fibre, vitamins, minerals, calcium and essential amino acids. 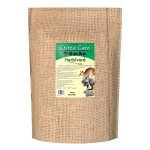 High fibre (NDF), Low fat, Low sugar. Contains Probotic to maintain gut function + zeolyte – a natural toxin absorber. Sick, stressed or injured herbivores. 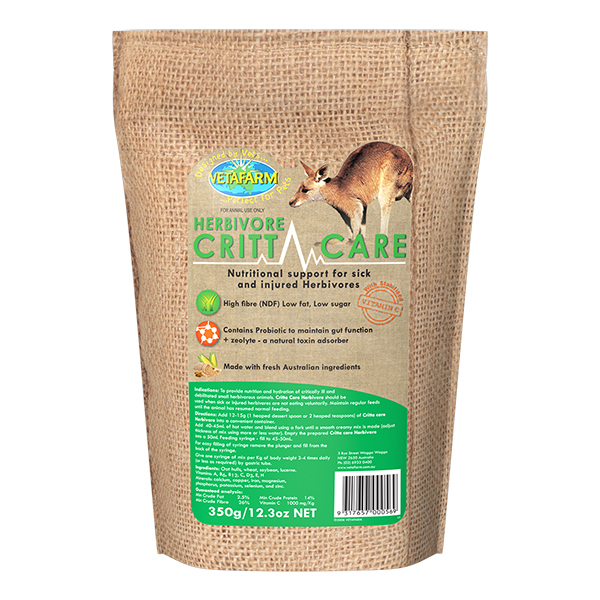 Add 12-15g (1 heaped dessert spoon or 2 heaped teaspoons) of Crittacare Herbivore into a convenient container. Add 40-45mL of hot water and blend using a fork until a smooth creamy mix is made (adjust thickness of mix using more or less water. 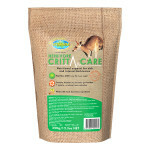 Empty the prepared Crittacare Herbivore into a 50mL Feeding syringe – fill to 45-50mL. For easy filling of syringe remove the plunger and fill from the back of the syringe. Give one syringe of mix per Kg of body weight 3-4 times daily (or less as required) by gastric tube. Oat hulls, wheat, soybean, lucerne. Vitamins (A, B6, B12, C, D3, E, H) and Minerals (calcium, copper, iron, magnesium, phosphorus, potassium, selenium, and zinc). 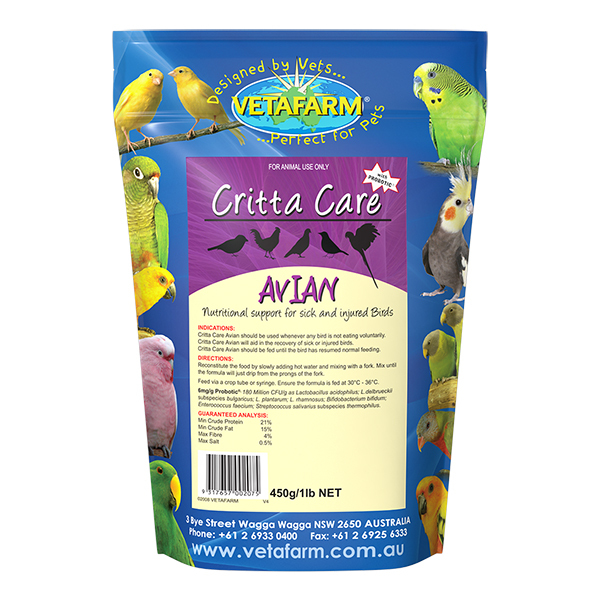 Crittacare Avian is a powdered emergency food for dilution in water and direct administration to birds.